Trumbull, CT – February 5, 2018 – TMC today announced Citrix has signed on as a Platinum Sponsor to SD-WAN Expo being held February 14-16, 2018 at the Greater Ft. Lauderdale/Broward County Convention Center in Fort Lauderdale, Florida. At SD-WAN Expo, enterprise executives, service providers, and technology vendors will connect to learn about and discuss how this market is growing and evolving, and how all three of these constituencies can make the most of the SD-WAN opportunity. 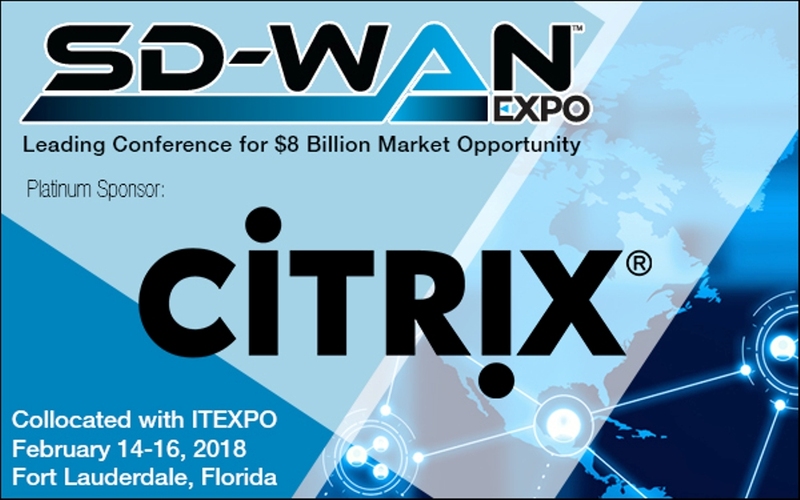 Collocated with ITEXPO, one of the largest remaining communications and technology conferences in the world, SD-WAN Expo is the dedicated forum for the industry to come together and learn.